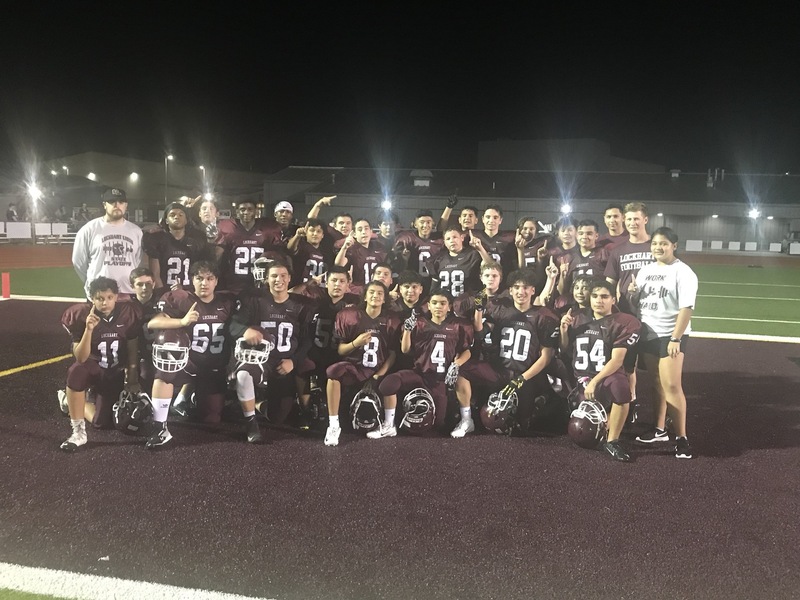 The Lions looked to close out the 2018 season with an unblemished record with a win over Manor New Tech. Lockhart started quick jumping out to a 14-0 lead after touchdowns by Dianne Jackson and Lawrence Castillo. Sean McKinney was able to add a touchdown of his own to help take a 21-8 lead into halftime. Lockhart’s defense played lights out the entire evening making it tough for Manor New Tech to move the ball. Diante Jackson added another touchdown in the 2nd half to help solidify a 28-8 victory for the Lions. The team finished with 7-0 record while also claiming the district championship. These players have worked extremely hard the entire year. The coaching staff would like to congratulate these young men on a very successful season and look forward to seeing the great things they will do in their high school careers.